The information presented on this page was originally released on April 30, 2009. It may not be outdated, but please search our site for more current information. If you plan to quote or reference this information in a publication, please check with the Extension specialist or author before proceeding. If you love hydrangeas and lament when they quit blooming for the year, then you should buy the 2009 Mississippi Medallion Award-winning Limelight hydrangea. This hydrangea gives an extended season of incredible blooms from midsummer through fall. The hydrangeas you may be most familiar with are Bigleafed hydrangeas known botanically as Hydrangea macrophylla. We sometimes call them mophead, lacecap or even French hydrangea, although they are native to Japan. Or you may know the native oakleaf hydrangea, Hydrangea quercifolia. 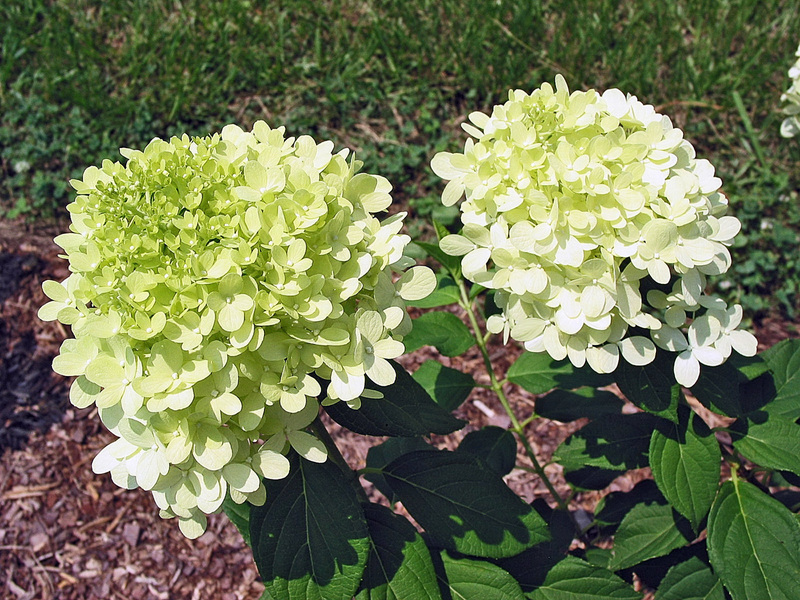 The Limelight is a different species called Hydrangea paniculata. The leaves are smaller, but the quantity of flowers is incredible. The 6- to 12-inch-long flower heads are held upright on the plant. The flowers start off a chartreuse that is almost white, then change to bright, light lime. As fall approaches, the flowers start turning pink. It is a special hydrangea that can garner awards from Mississippi to Georgia, north to Pennsylvania and across the Atlantic to Great Britain. In 2008, the Association of Specialty Cut Flower Growers named it the Fresh Cut Flower of the Year. Dr. Guihong Bi, a research horticulturist at Mississippi State University’s Truck Crops Experiment Station in Crystal Springs, has been working on cut flower hydrangeas. She says they can be harvested immature with some green showing, fully mature with all bracts white, and past mature with rosy pink bracts. You could not ask for a more exquisite flower for a summer wedding. The Limelight also is great for drying. Limelight grows upright and reaches 8 feet tall, putting out attractive blooms until frost. It is cold hardy from zones 3 to 9, meaning it has a very wide range of adaptability. It is unbeatable in the landscape and works superbly as the thriller plant in mixed containers. Ideal growing conditions are fertile, well-drained soil with morning sun and afternoon shade. In the landscape, plant it among other shrubs 72 to 80 inches apart in odd-numbered clusters for a terrific, eye-catching display. To plant your hydrangea, dig the hole two to three times as wide as the rootball but no deeper so you can plant it at the same depth it is growing in the container. Apply a good layer of mulch to conserve moisture. Once established, you’ll find the Limelight is less dependent on water than its big-leafed cousins. Soil pH does not affect the color of the flowers like it does with the blue or pink big-leafed hydrangeas. Any flowers left on the plant do provide winter texture and interest. Limelight blooms on new wood, so prune in late fall or early spring. A medium pruning that removes one-third to one-half the plant size gives a better structure for large blossoms and the new season ahead. Feed your hydrangea in early spring as new growth resumes. Southern gardeners love hydrangeas, and the Limelight, the 51st winner of the Mississippi Medallion Award, will ensure you have blossoms until fall. 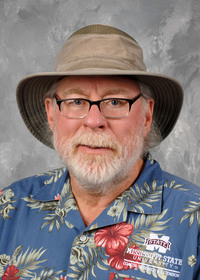 The Mississippi Medallion Award program is sponsored by the Mississippi Nursery and Landscape Association, Mississippi Agricultural and Forestry Experiment Station, the MSU Extension Service and the Mississippi Plant Selections Committee.